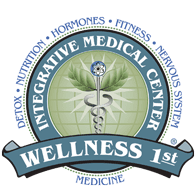 If you have any questions, concerns, or comments regarding Wellness 1st Integrative Medical Center, please fill out the short contact form below. "Becoming a patient of Dr. Rooh has improved my health immensely. He has been the best doctor I have had the pleasure to work with." "I had struggled my whole adult life with weight issues and food intolerances and Dr. Rooh has helped me with all of that in a timely manner. I would recommend him..."
"Dr. Rooh loves to help people with hormonal imbalances and reversing issues naturally. He has free seminars all the time helping people understand and fix their issues." "Dr. Rooh did a great job working on my back and found other areas that I wasn't even aware of that needed attention. Thank you Dr. Rooh!" "If you're looking for a quality chiropractor in Chandler, try Dr. Rooh first. He cares, he is patient and has personally given me a whole body approach to health..."
"Dr. Rooh is great! I've been seeing him for a few years, he's very reasonable and goes out of his way to be available."